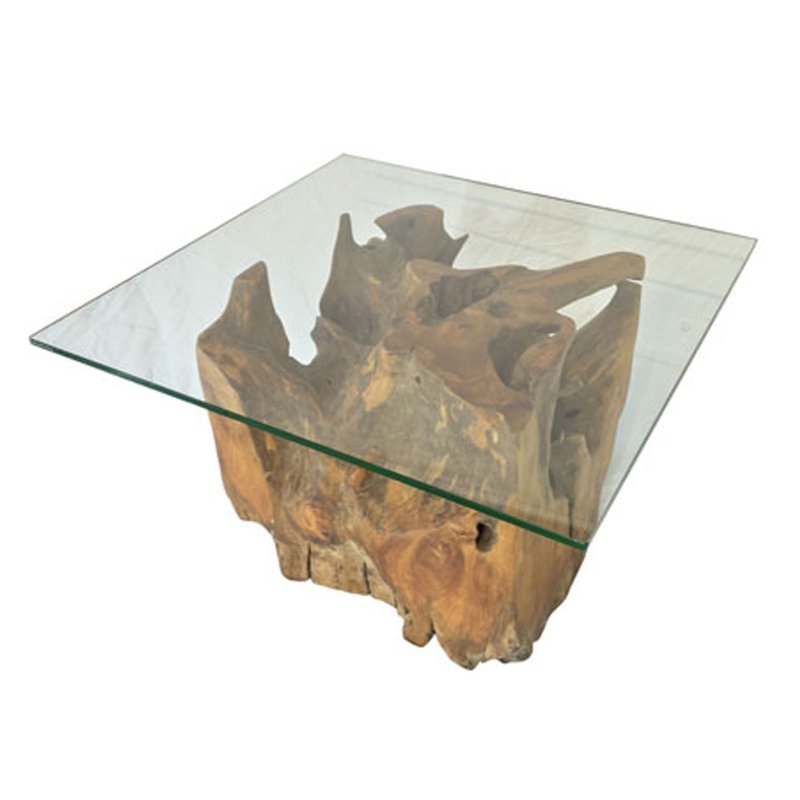 Welcoming this beautiful Teak Root Coffee Table Square Glass. This coffee table has a fantastic trunk design that is created from teak root. This material creates a very original style that'll be sure to grab attention and impress. The square glass surface fits perfectly with this piece.